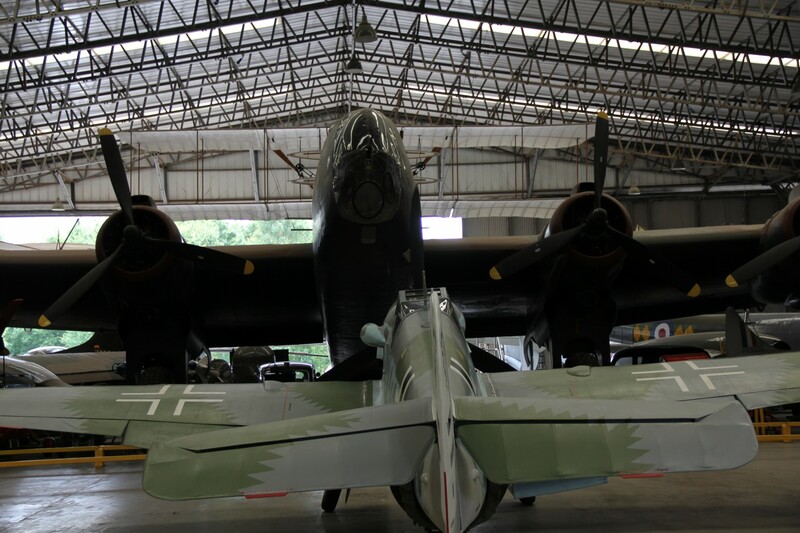 We are delighted to announce that our thirtieth annual reunion will take place once again at Elvington’s Yorkshire Air Museum the weekend of 15th /16th September with extra-special features. 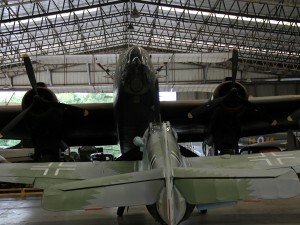 On November 20th, York’s daily paper, the Press, published a feature about our squadron at Elvington. You can access the article here. It was a wonderful weekend of friendship and remembrance. 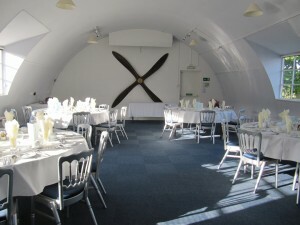 A good turn-out of friends and families of 77 squadron with 50 booked in for dinner at the air museum. 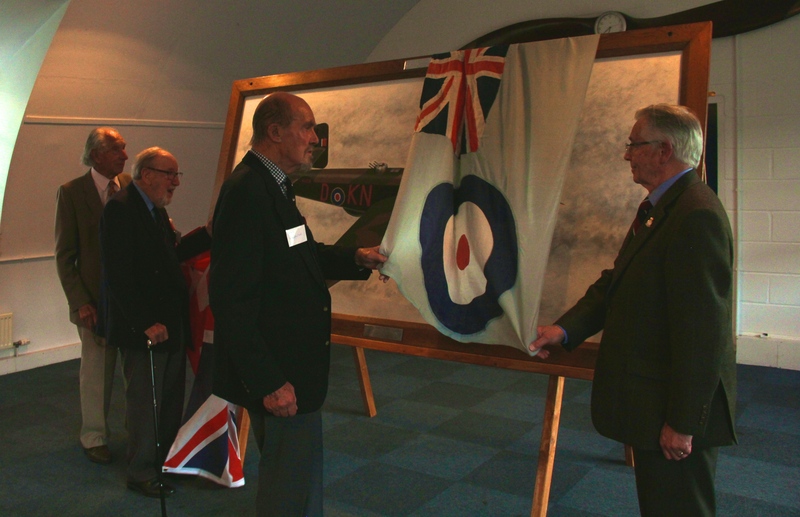 We were thrilled that three veterans were able to be with us, all now of course in their nineties: Bill Ballantyne, pilot, Tom Nash, w/op and AG and Jeff Strain, radar technician. We were sorry that Ted Matthews was not fit enough to travel ( sadly he passed away November 16th), but David and Liz were there on his behalf. Our President, Bill Foote has made a great recovery from his stroke but was still unable to be with us. Bill Ball, who has usually been a great presence here has moved away to be with his family. We missed him and Flo and their exuberance. We missed Celia and Ray Wolfe who at the last minute could not come due to ill health. Last December, Derek Oakley passed away but we were so pleased that his family came in his memory, with a baby grandson too to carry on the family tributes. From Paul Bogaert, President of the Association des Anciens et des Amis des Groupes Lourds. July 1st 1916: the height of the Battle of the Somme; three months later October 1st, the creation of 77 Squadron Royal Flying Corps: Two major events for us this year of which we commemorate the hundredth anniversary. 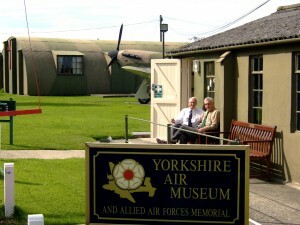 This year it is to be held 10th and 11th September. 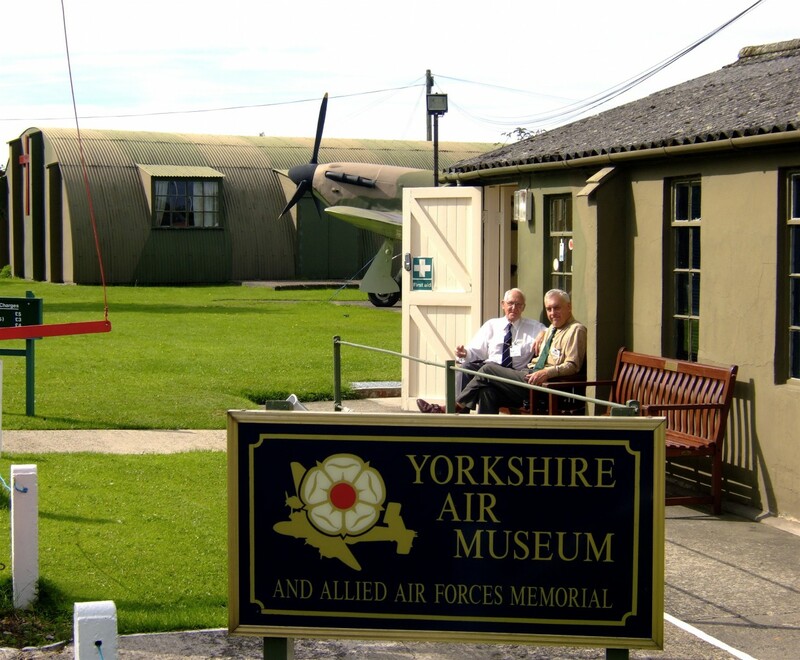 The Dinner will be on Saturday 10th at the Yorkshire Air Museum, Elvington, the squadron’s wartime base 1942-44, following a short ceremony at the gate memorial to the squadron. STOP PRESS: We are pleased to announce that our speaker at the Reunion Dinner is Ken Cothliff. Read his story in this Evening Post article. He is the author of a book Under the Maple Leaf about Canadian volunteer aircrew including the father he never knew.